DenverBazaar is taking over The Hangar at Stanley Marketplace with 45+ local makers on the First Thursday of the month from 5-9:30PM! 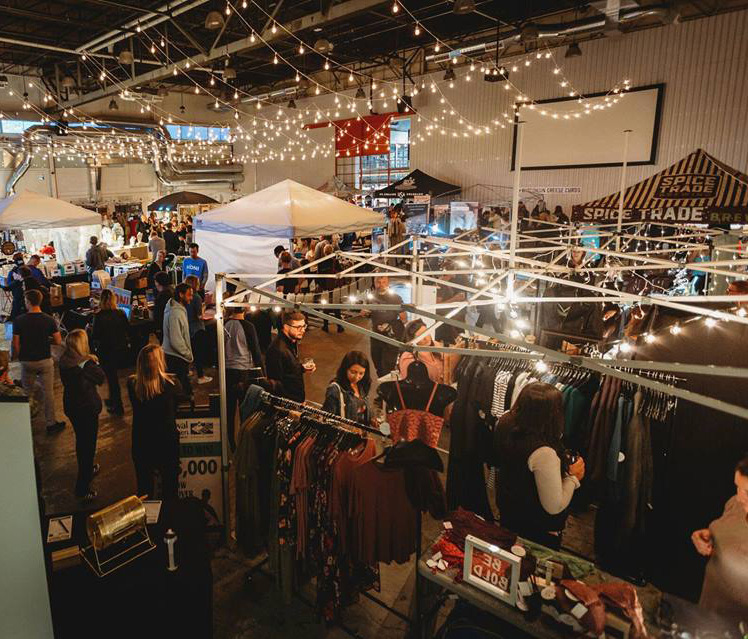 Shop, Sip & Mingle with Colorado’s finest craft, fashion, and art makers while sampling local wine, cider, beer, and spirits at Thursday Night BAZAAR. Explore the BAZAAR while listening to local DJ’s spin the best funk, soul, and oldies, then take a trip into Stanley Marketplace to redeem special discounts from select retailers! General Admission to Shop & Mingle is free from 5-10PM! All ages welcome and dogs must be on leash.